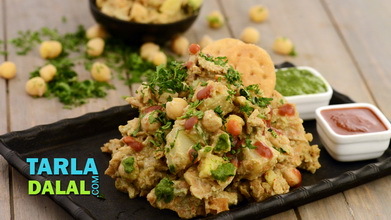 A rare combination of boiled hara chana and fresh paneer cubes is combined with tongue-tickling ingredients to make a one-of-a-kind snack! 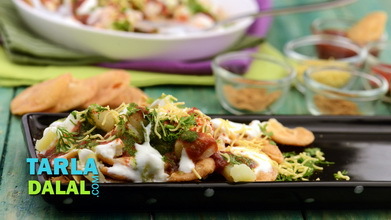 This Paneer aur Hare Chane ka Chaat has the strong flavour and aroma of chaat masala, which is accentuated further by the tanginess of lemon juice. 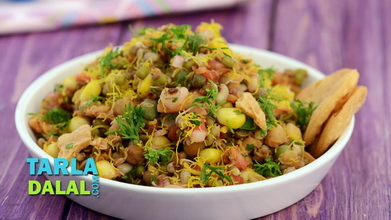 A garnish of finely-chopped coriander is a must to complete the peppy experience. 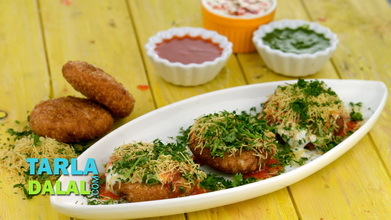 Serve this chatpata snack hot. Heat 2 tbsp of oil in a broad non-stick pan, add the paneer and cook on a medium flame for 2 minutes till golden brown in colour, while tossing occasionally. 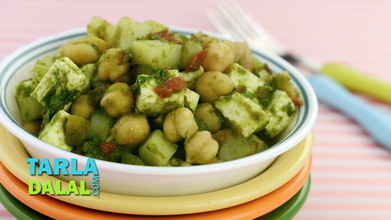 Drain the excess oil, remove the paneer on a plate and keep aside. Heat the remaining 1 tbsp of oil in a broad non-stick pan, add the ginger paste and green chillies and sauté on a medium flame for a few seconds. 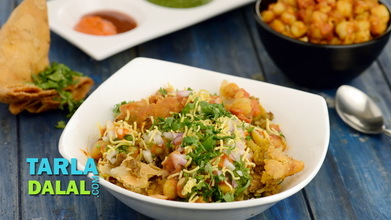 Add the hara chana and sauté on a medium flame for 1 to 2 minutes. 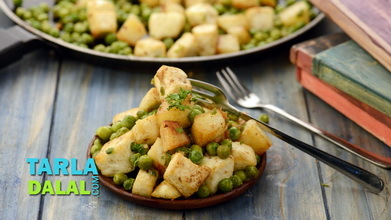 Add the cooked paneer, chaat masala, lemon juice, salt and coriander, mix well and cook on a medium flame for 1 to 2 minutes, while tossing occasionally.